When I ran a European concert agency and booked ‘Real Music’ artists such as Incognito, Spyro Gyra and Carleen Anderson quite a few years ago, I came across a Brazilian phenomenon. On this side of the Atlantic Ocean, the singer, composer, arranger, music collector and DJ Ed Motta was already famous in Portugal. Further north, in Germany, he was not. The fact that Ed Motta and I could have been twins, meaning I look like a slightly lighter and older version of his, was not that important. His album ‘Poptical’ and his live DVD had convinced me. There was someone very gifted who delivered fascinating Brazilian Jazz-Funk tunes, but also Musica Popular Brasileira and even stunning Jazz pieces, someone who just had to hit stages in Germany. So I offered Ed Motta concerts to venues I called ‘Real Music havens’ throughout Germany and in the other two German-speaking countries. This was in 2004. Since he would have gigs in Spain and Portugal, meaning he would already be in Europe, I wanted him to perform in one of the greatest venues in Germany, the Hamburg ‘Fabrik’. In order to get gigs there, I knew I would have to take a 59-minute fast train ride from Bremen to Hamburg, then take the ‘S-Bahn’ to Altona, and then the bus to the ‘Fabrik’, a former factory building which had been turned into an alternative and revolutionary venue during the wild 1970-s. Even as a little boy I had been there many times, for the children’s activities they offered. Later, I attended the most brilliant gigs there, including Stanley Clarke and Billy Cobham. During the first years of the new millennium I took Spyro Gyra and others to the ‘Fabrik’. Yes, this was exactly the place where Ed Motta would have to hit the stage. On that day in 2004, I was sitting in front of Buddy, the Fabrik’s chief booker. I told him about the genius of Ed Motta and the stunning sounds he produced. I played ‘Poptical’ to him. And, as it turned out, I convinced him. Yes! I had just booked Ed Motta’s first German gig. But there was a problem. All other venues I had contacted refrained from accepting my offer. Since their Bible, the magazine ‘Jazzthing’, had not written about Ed Motta yet, they did not believe he was as great as he was or that he would pull big audiences. So there were no additional gigs which could have justified a German mini-tour. What had to happen actually happened: Ed Motta contacted me from Portugal saying he could not come to Hamburg for that single gig, even though it was the ‘Fabrik’. I had to cancel the Hamburg gig. A year later, the phone rang. A sad Ed Motta was on the other end of the line. He had just released ‘Aystelum’, a brilliant album which contained my favorite Jazz-Funk tune of his, ‘Patidid’, but also actual Musical compositions. Ed told me that his label Tama had dropped him since its managers had not agreed with his “experiments”. It looked like they wanted continuity, in the form of Brazilian Jazz-Funk and MPB and had not understood that Ed Motta is an artistic synthesis. At that moment, Ed seemed to think he was drowning. He was looking for a lifebelt. Today, he does not need any lifebelt. His career is not just back on track, but north-western European venues and festivals can not get enough of him, and rightly so. Promoters back then may not have believed me, but they did believe ‘Jazzthing’, that hipster magazine run by the hippest hipster of them all. Thanks, Götz! That publication had discovered Ed Motta a few years later and spread the word. The good news is that Ed Motta is coming back to Europe, including Germany, right now, as we speak. Even though he and his people refrained from replying to my latest interview request, in spite of the history mentioned above, I am highly recommending his gigs. This time around, the exceptional artist will introduce his new album ‘Criterion of the Senses’. Ed Motta, a nephew of the late singer/songwriter Tim Maia, recorded his first album at age 15, in 1988. He sang in a Hard Rock band, but discovered the fascination of Funk early on. Over the years, he refined his music while continuing to inhale influences. Also he played with Roy Ayers, with the former bandleader of the Cuban group Irakere, Chucho Valdés, he did lead vocals on the Incognito tune ‘Who Needs Love’, and even played with Hubert Laws and Patrice Rushen, the greatest Contemporary Jazz artists of them all. He also composed film scores while releasing breathtaking albums. ‘As Segundas Intenções do Manual Prático’, released in the year 2000, features brilliant Jazz-Funk and other pieces sung in Portuguese. The best example might be the tune ‘Pisca Alerta’. Also the ballad ‘À Deriva’ is almost too good to be real. So are other tracks. Many of the Ed Motta albums which followed were stunning, including ‘Dwitza’, ‘Poptical’ and ‘AOR’. The band he had around the ‘Poptical’ times was so brilliant. It included Paulinho Guitarra playing the what? Yes, the guitar of course. This guy is so versatile. So was that drummer of his, Renato ‘Massa’ Calmón. All of them played killer gigs. Then, with the ‘AOR’ album, Ed Motta started replacing Portuguese lyrics with English ones. In fact, he recorded two versions of that album. While he himself believes he sounds better in English, I prefer his Portuguese approach. On the new album ‘Criterion of the Senses’, the track ‘Your Satisfaction is Mine’ shows that the artist has not thrown the Funk influence overboard. As a collector, Ed Motta owns tens of thousands of records. He is a big Gino Vannelli fan and even sings ‘Living Inside Myself’ on stage, on a regular basis. And he wears ‘Aja’ t-shirts. ‘Real Music’ people know what this means. The collection also includes loads of Bossa, Samba and MPB classics. It is not a coincidence that Ed Motta recently put together a sampler of great MPB jewels entitled ‘Too Slow to Disco Brasil‘. 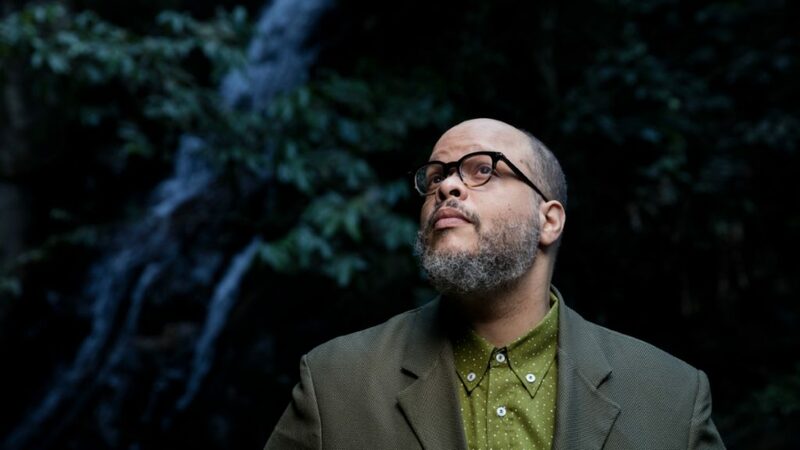 Ed Motta’s European tour starts the day after tomorrow, on Thursday, October 18th, 2018, at the ‘Parterre’ in the Swiss city of Basel. It will also take him to Munich, Hamburg (no, it’s not the ‘Fabrik’, but the ‘Stage Club’), Stuttgart, Berlin and countless other places. Welcome back to Europe, Ed. Ed Motta’s website can be accessed here.